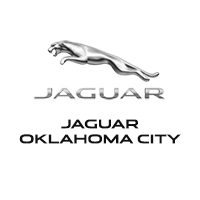 The Jaguar F-PACE for sale at Jaguar Oklahoma City is a luxury performance SUV offering practicality and efficiency. As the first luxury performance SUV by Jaguar, the F-PACE combines the Jaguar DNA of legendary performance, handling and luxury with practicality and space. It has the performance capability for every road and the capacity for every day. The Jaguar F-PACE for sale at Jaguar Oklahoma City is the perfect vehicle for you and for your family. F-PACE has an impressive 33.5 cubic feet of cargo space with seats up and a versatile 40:20:40 rear seat folding configuration. The F-PACE has an 8-speed automatic transmission developed specifically for the demands of a performance vehicle, with manually controlled gearshifts using the steering wheel paddles. The F-PACE features the latest technology like Head-Up Display and Activity Key and InControl® Touch Pro multimedia system.